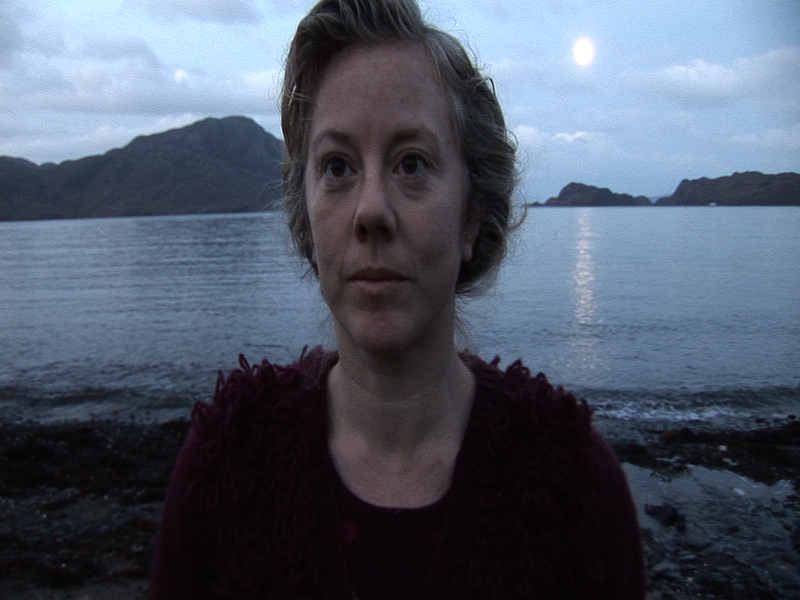 As you can see from these pictures, this week the moon has been in shot during my filming! (The pictures also show how different the light can be on consecutive days this time of year). I imagine it will only happen once during this year that the moon exactly in the right place at exactly the right time. It was certainly pretty special about coming out and finding it there on a still clear morning. Today, someone asked me today how long I had been filming and unusually I had to think about it for a moment before answering (it will be seven months next week). I am no longer counting the days and no longer feel claustrophobic. In fact I am beginning to be slightly concerned that time will run out and I won’t achieve everything I want to during this year. 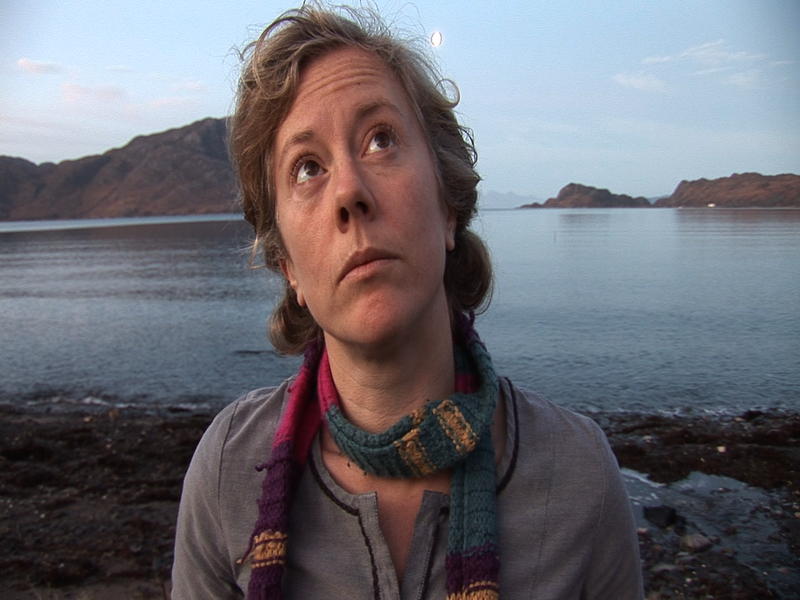 Some of this might be because I have been travelling to Mallaig on an almost daily basis this week as I have just started a community film project with the children at the primary school there. This has taken quite a bit of careful organising. There is a boat which usually leaves at 8.30 am but now waits for me to finish filming, pack up the camera and cycle like mad to the pier (my record so far is 8.48, which is exactly 8 minutes from switching the camera off to being on the boat). This is partly why the blog may be a bit quieter over the next few weeks as I focus on helping the children with their own creative vision. It is really nice to be doing both of these projects at the same time. Doing this project has helped me think about how to help the children be creative and I am looking forward very much to finding out what they think about this film! I have also encouraged them to start their own blog as their film is going to be mainly distributed online. So here is a link to it and the work I am doing with them . 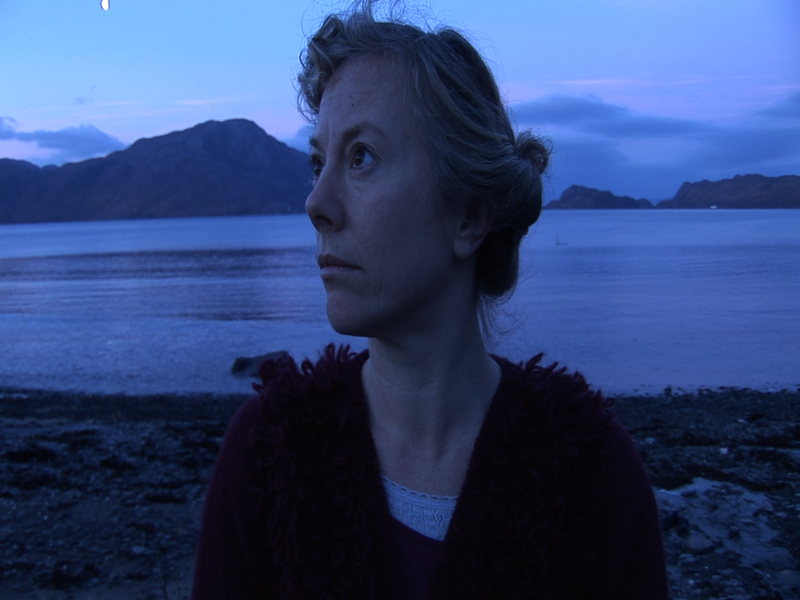 . .
Mallaig Primary School Film Project Blog! I don’t think the travelling is entirely what has brought this change in perspective though. I think it is just the adjustment that comes with time to any given situation. It has become normality now, and now I have to be guarded against complacency, especially during filming. The tapes are beginning to pile up which is dangerous as watching them back is always a stark reminder on the importance of being present. I am looking forward to spending a long day capturing and reflecting. It is going to be very interesting looking back over December. I went on a walk through the woods the other day and am still slightly shocked by the amount of devastation caused by the storms (we lost more trees between Christmas and New Year as well as power again for a few days). My walk felt like I was awakening from a dark sleep, rubbing my eyes and still not quite believing what I was seeing wasn’t part of a strange dark dream. Usually January and February are the hardest months here but I am not sure this is going to be the case this year, we shall see.